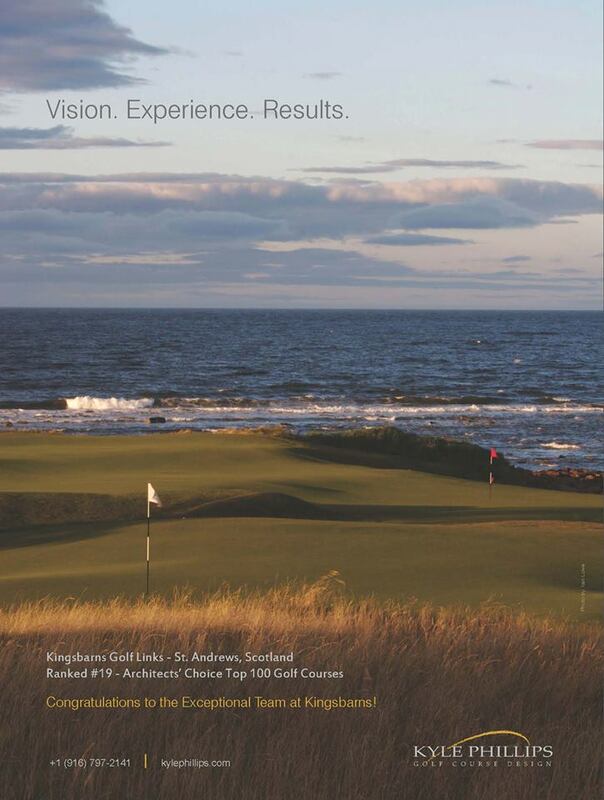 Congratulations to the exceptional team at Kingsbarns Golf Links receiving a top 20 ranking in Golf Course Architecture Architects’ Choice Top 100 Golf Courses! 1. ENTRY: No purchase necessary to enter or win. Contestants will enter by submitting answers through the Kyle Phillips Golf Course Design Facebook page. 2. ELIGIBILITY: This contest is open only to legal U.S. residents, over the age of 18. Employees of Kyle Phillips Golf Course Design (along with its contractors, affiliates and subsidiaries) and their families are not eligible. Void where prohibited by law. Contestants residing in those areas where the contest is void may participate in the contest but may not win any prizes. 3. WINNER SELECTION: Winner will be randomly selected on July 12, 2013 at 5 PM PST. 4. PRIZES: Winners will receive a Cleveland 588 RTX wedge and dozen Srixon Q Star golf balls. 6. 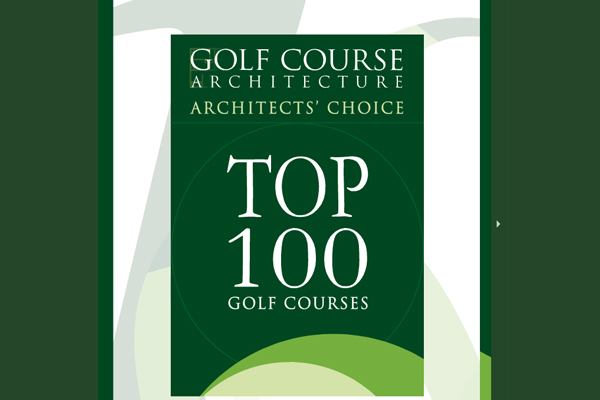 USE OF CONTEST INFORMATION: All entries become the property of Kyle Phillips Golf Course Design. 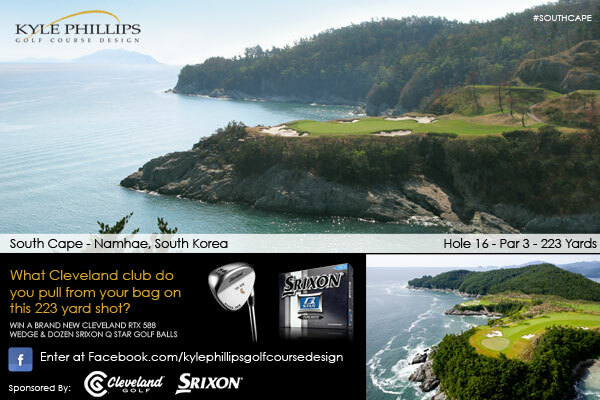 Kyle Phillips Golf Course Design reserves the right to use any and all information related to the contest, including submissions provided by the contestants, for editorial, marketing and any other purpose, unless prohibited by law. 7. NOT ENDORSED BY FACEBOOK: By participating in this contest, you acknowledge that this contest is in no way sponsored, endorsed or administered by, or associated with, Facebook and release Facebook from any and all liability arising from or related to this contest. The information you are providing for this contest is being provided to Kyle Phillips Golf Course Design and not to Facebook, and will be used to notify you if you have won, and to inform you about special offers from Kyle Phillips Golf Course Design and our trusted partners. 8. CONDUCT: All contest participants agree to be bound by these Official Rules. Kyle Phillips Golf Course Design in its sole discretion, reserves the right to disqualify any person it finds to be tampering with the entry process, the operation of its web site or is otherwise in violation of these rules. 9. LIMITATIONS OF LIABILITY: Kyle Phillips Golf Course Design is not responsible for late, lost or misdirected email or for any computer, online, telephone or technical malfunctions that may occur. If for any reason, the contest is not capable of running as planned, including infection by computer virus, bugs, tampering, unauthorized intervention or technical failures of any sort, Kyle Phillips Golf Course Design may cancel, terminate, modify or suspend the contest. Entrants further agree to release Kyle Phillips Golf Course Design from any liability resulting from, or related to participation in the contest.